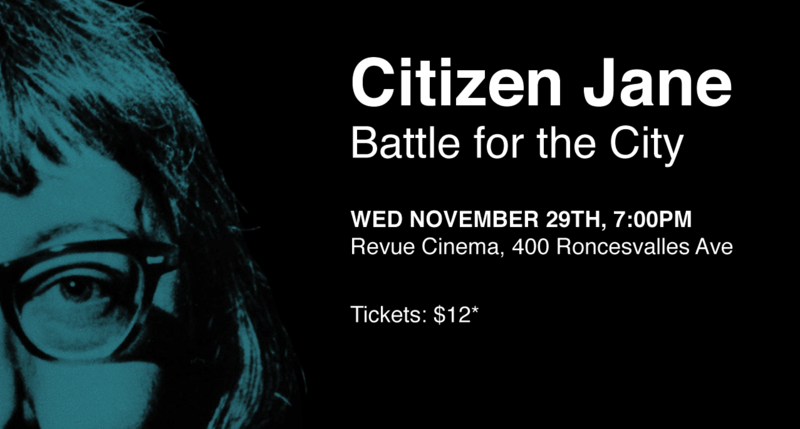 Jane Jacobs has inspired more than one generation to take action in defence of the neighbourhoods they value. 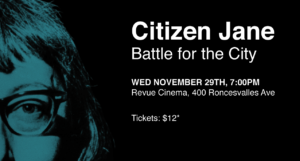 See the origin story of the activist who later came to Toronto and whose work here is honored every year in scores of Jane’s Walks. A portion of the proceeds benefit the High Park Community Alliance, which faces an OMB hearing over proposals to add six new towers and 1700 units to a two-block area that is already one of Toronto’s most densely populated neighbourhoods. Tickets will also be available at the door the evening of the event.